So, this was my acquisition of the day! 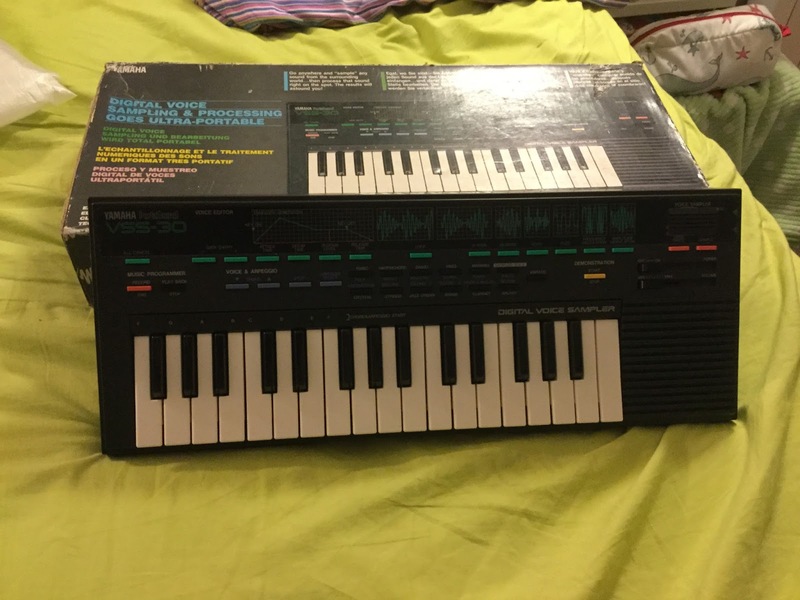 Unfortunately, it is not in as good functional condition as it looks like, and the output is a bit noisy (more noisy if it is connected to a power supply than when using batteries). I hope that won't be a hard fix as I am quite impressed with the way it sounds! It is really easy to sample and get creative with it. It surely isn't a very versatile machine to sample with, but sometimes, it offers all you need and it is really easy to use, which means you can get really nice results very fast! So, was it a toy for a toy?